Fred. Olsen Travel launch Phase 2 of their online transformation with a new multi-site platform! Given their reputation within the travel technology sector, CSI Media were approached by Fred. Holidays to develop phase 2 of their digital transformation: a new and responsive multi-website platform. Fred. Olsen Travel is one of the largest and longest-running travel companies in the UK. Their portfolio comprises of 14 sub-brands including Adventure Tour Holidays, Fred Discover and Far Horizon. 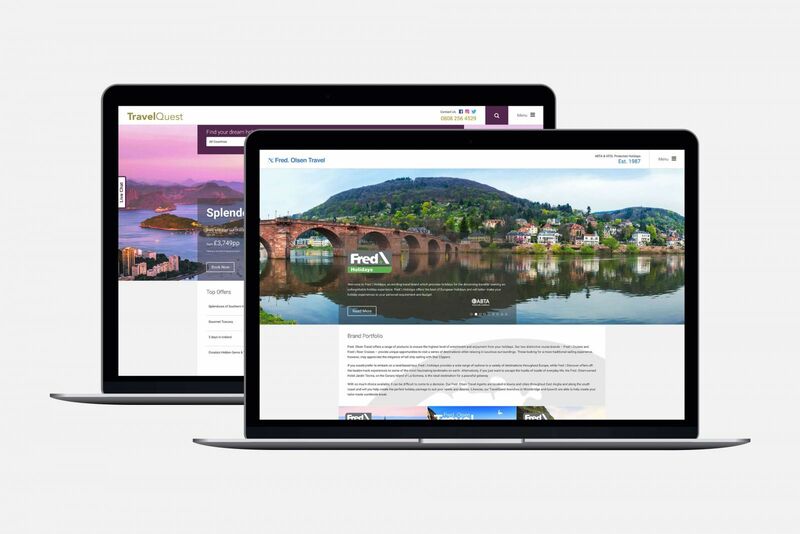 The new multi-site platform is built on the Umbraco Content Management System and gives the marketing team at Fred the ability to control 14 separate brands from one platform. They can easily adapt the design for each of their 14 brands, and are also able to change the colour scheme, layout and fonts meaning that each brand has its own distinctive character! Furthermore, there is a product distribution feature whereby data feeds connect to third-party product inventories - products can be handpicked, customised and distributed to any of the 14 brands! From a design perspective, all 14 websites are responsive, meaning that the websites behave - visually and functionally - on all of the latest devices. This is particularly important given that 85% of travellers use mobile devices to book travel activities (AdWeek) and means that mobile and tablet users can easily complete and submit the enquiry form on Fred's websites. Finally, a custom enquiry management system was developed, where all incoming enquiries and quotes can be managed from one central system. You can see more pictures of the designs here! "CSI Media are a very professional team whose collective skills make for a well-oiled web design agency that delivers on-time and to budget. The development that has just been provided is outstanding, meeting all the project deliverables." Shane Williams, E-Commerce Manager at Fred Olsen. 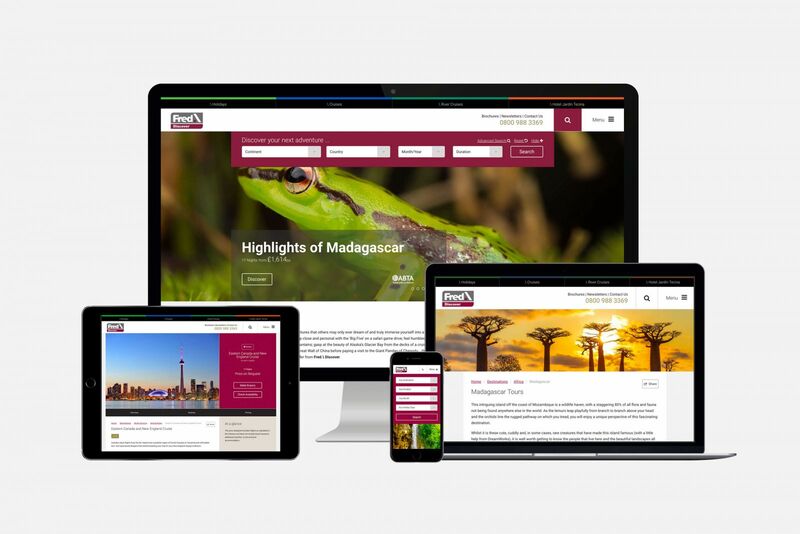 Find out more about CSI Media's travel website design services here, and their travel technology solutions here.